This article was written by TheUltimateShemp and edited by Shymander of the MAL Articles Club. Interested in writing featured articles? Click here! Sound. It’s always present even if we don't always notice it. Most sounds go ignored because focusing on every vibration that hits our skulls would be, well, impossible. These details may not be the kind that jump out at you like an elaborate sakuga sequence or an isolated music track in the OST, but more often than not they are just as important in creating those moments that define our favorites. The landscape of sound (soundscape, if you will) in an anime plays a vital role in defining the identity and impact of the work at hand. The most obvious and openly discussed is, of course, the music. But what people don’t often talk about is how and why music is used, and when, perhaps, it is misused as well. One of the most defined and effective musical stylings in anime is the beloved Monogatari series. Every Monogatari entry makes great use of musical theme and motif as a way of further familiarizing and defining the world and its characters; each character and emotion is associated with familiar and evocative tunes. This is quite beneficial in the long run considering the series’ sprawling narrative, large cast, and decidedly postmodern presentation. 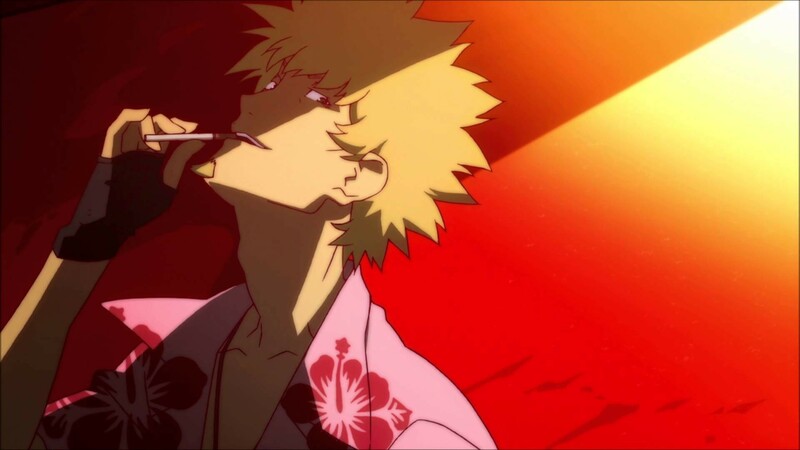 The music in Bakemonogatari is amazingly atmospheric and inquisitive, and though Nisemonogatari has different themes and motifs from the first season, the same vibe is recaptured and even expanded upon using the iconic tunes of certain characters’ OPs from its predecessor to create new, memorable themes for each character of the returning cast. The music never misses a beat, always feeling meticulously placed, thought-out, and used effectively to accent the scenes as they unfold. 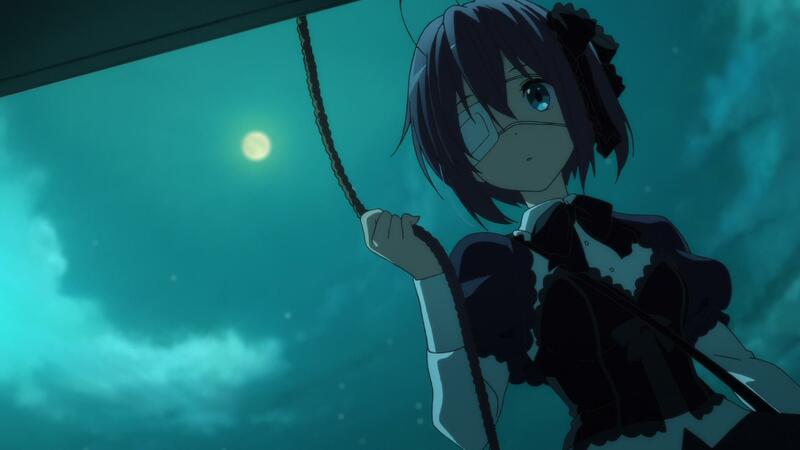 Compare this to the delightfully moe Chuunibyou demo Koi ga Shitai!. As much as I would love to give this anime all the credit I just gave Monogatari (being the shameless KyoAni shill that I am), the fact of the matter is, Chuuni falls into a very common trap regarding music usage in media, specifically in the first season. Having a well utilized score is important, but almost as important in creating an audible identity are musical stylings and influences. Really think about what anime comes to mind when you think of a truly great soundtrack. Music is like a pool of cultures and ideas, and the best composers know that. Aside from music embodying simple emotions, there are plenty of cultural and stylistic variables to be carefully considered and applied in order to make impactful music that is relevant to the overall work as a whole. There are plenty of examples of this that are more than worthy of discussion, but I’m sure a title on many people's minds is probably Cowboy Bebop. Aside from Bebop being a pop culture icon and beloved classic, it is also a wonderful testament to how a sense of musical identity can elevate a piece of art to a whole new level of significance. Putting aside that jazz and Cowboy Bebop are almost synonymous to any self-respecting fan of animation, the connection between the series as a concept and the genre of music chosen to embroider it are present in nearly every element. Cowboy Bebop wears its western influence on its sleeve as is, with the show’s delightful mixture of spaghetti western flair and film noir intrigue being apparent from the second the first episode begins; but with the dynamic range of moods the broad genre of jazz provides (not to mention the snapshots of other musical stylings we get flavors of throughout), a sense of stylistic cohesiveness is created that spans across the whole experience. The improvisational and often laid-back nature of jazz is often a strong indicator of what the characters are thinking and how they approach tasks as the story progresses, further adding to the show’s overall identity in meaningful ways. Music can also be an effective means of establishing setting, be it time period or location. 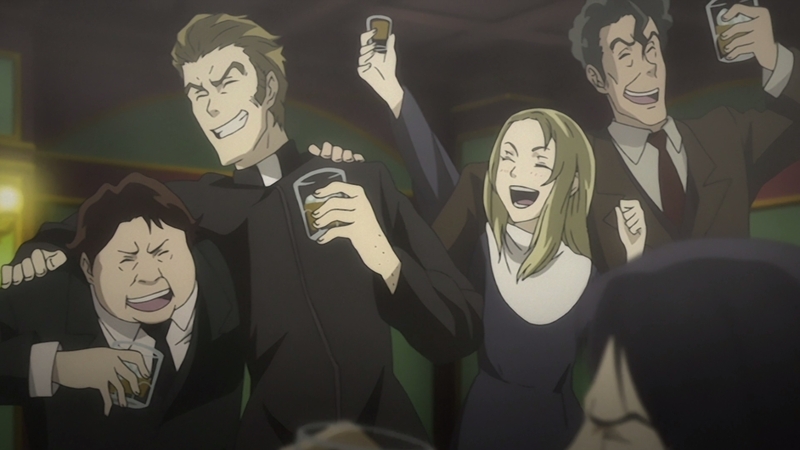 To stick to the genre at hand, Baccano!uses jazz both as a way of matching the energetic hijinks to a catchy, tone-appropriate beat and as a way to establish the unique setting of the mafia in the United States during the 1930s. Music doesn’t always have to be complimentary in these exact ways either as the critical and fan acclaim of shows such as Samurai Champloohave proven through the pairing of a classic samurai story set to the tune of hip-hop. What it takes is the skilled individuals at the helm to truly know what situations call for and if it will work given the direction they wish to go. Now that the most distinct example of sound’s part in giving an anime identity has been discussed, we can move on to the criminally underappreciated world of sound design. Be it canned sound effects that are pretty commonly used, foley work, or synthesizing sound effects from scratch, the effect this art has on any piece of audiovisual work is far more apparent than you may think. Effective use of sound effects and creative ideas applied to a scene can easily raise an anime from a 9 to a 10. With all the out-there concepts explored by science fiction, for example, a good team of sound designers is what potentially stands between the setting feeling like an empty canvas for characters to dance around on and a fleshed out, populated world. No matter what the scale, that’s what sound design should do: further realize the world and add that extra punch. 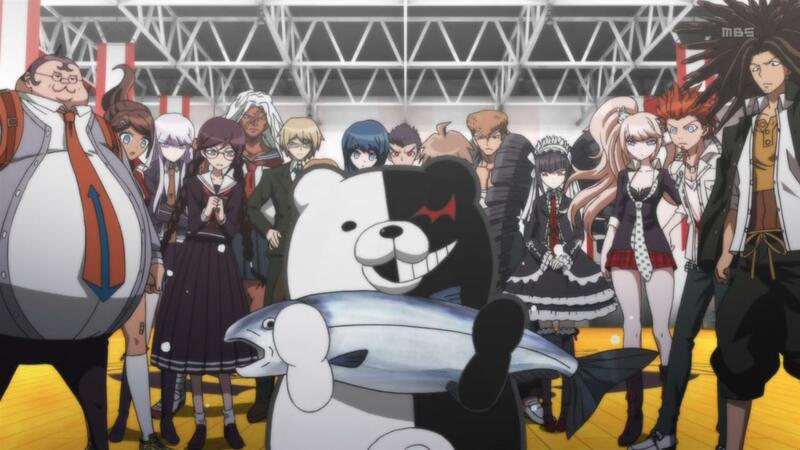 Probably one of the few truly great elements of Danganronpa: The Animation was its poppy and energetic soundscape, using both new sound effects and those ripped straight from the game. The process of discovering the auditory voice of a work isn’t an easy undertaking. Foley artists essentially have to watch footage over and over again and record sounds they make with odds and ends in tandem with certain elements of the scene until they get the outcome they desire. I’ll never forget watching a behind-the-scenes feature on foley as a kid and being blown away by the creativity and unique thinking exhibited by these underappreciated artists. The process of using synthesized or canned sound effects shouldn’t be looked down upon by any means either, especially not when these elements are applied in new and interesting ways. One of my all-time favorite examples of creative sound design in general has to be the incorporation of human voice and mouth sounds in making sound effects. 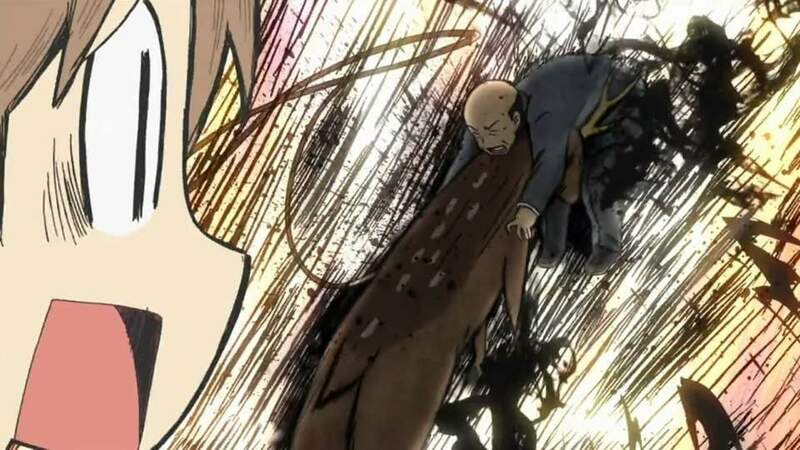 This can be done for an entirely straightforward purpose: in Kiseijuu: Sei no Kakuritsu, Migi and the other parasites all have what amounts to cheeky fart noises and faint slurping accompanying their every move; it makes sense since they're fleshy blobs of sentient putty! For a less straightforward and surprisingly more unsubtle use of this technique, look no further than Hayao Miyazaki’s Kaze Tachinu in which everything from a plane engine sputtering to an earthquake are given life through the likes of spoken onomatopoeia, humming, and exhaling. Some of the sounds don’t even seem to resemble what they are intended to symbolize, but I don’t think that’s the point. The idea behind these choices is still ambiguous to my knowledge, but even with that said, I personally believe it only helps the film distinguish itself further as one of Ghibli’s best and most unique works. It adds a unique dreamlike quality to what would otherwise seem like one of the most grounded of Ghibli’s films, accentuating its focus on when dreams overlap with reality. I touched on a couple of these points in the first half to some extent, as sound being used in a purposeful and exciting way is essentially what defines good sound design, but there’s more to say when it comes to the application of sound. What can a sound designer, director, and/or composer do to really amp things up to the next level? Ambience is probably one of the most overlooked elements this article pays reference to. To give a solid idea of what I mean by ambience, since the usage of the word is rather broad, I am referring to sound design choices made simply to establish atmosphere, tone, ideas, and environment. 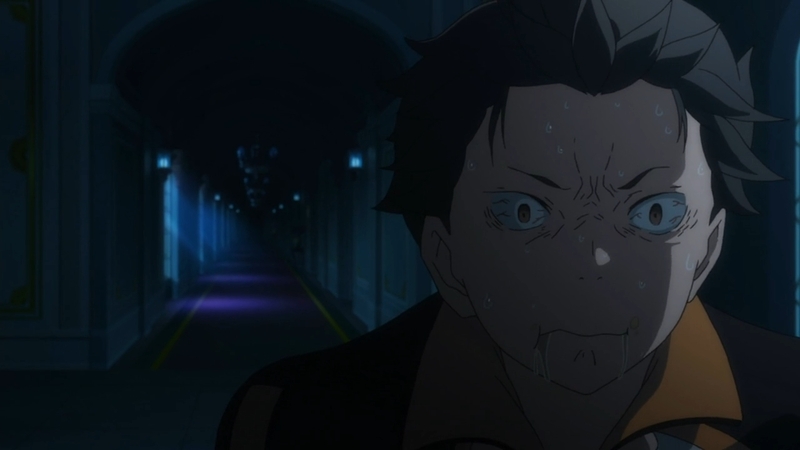 A shining example of this is Re:Zero kara Hajimeru Isekai Seikatsu’s use of a particular off-putting vocal clip from the soundtrack piece ‘Call of the Witch’ whenever things got gut-wrenching or a bit spooky for our frustratingly stubborn protagonist. The entirety of the Danganronpa franchise does virtually the same thing, accompanying every shocking reveal of death and terror with an equally terrifying distorted and layered sound that just screams bloody murder. These make good examples because they are fairly pronounced and if you’ve seen either of these series in any capacity, you can most likely recall them. Ambience is typically created through background sound effects, such as the sound of footsteps or a passing train. What a lot of anime viewers don't realise is that these can be used for more than mere presentation. 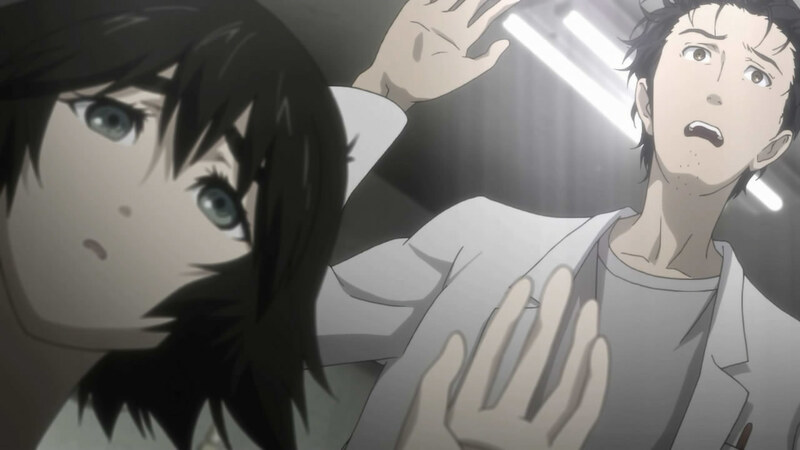 Say, for example, Steins;Gate. An observant viewer may notice that both of the seemingly mundane sounds I mentioned just now are actually used to build tension in some of the most intense and emotional moments of the entire anime. Over time, we as audience members are even conditioned to be wary of these and other tension-building sound effects, such as the rush of Reading Steiner or the tones that mark despairing imagery, which only build our collective anxiety for when the next inevitable heartbreak or death occurs. Not too long ago, I was watching Hideaki Anno’s directorial debut, Top wo Nerae! 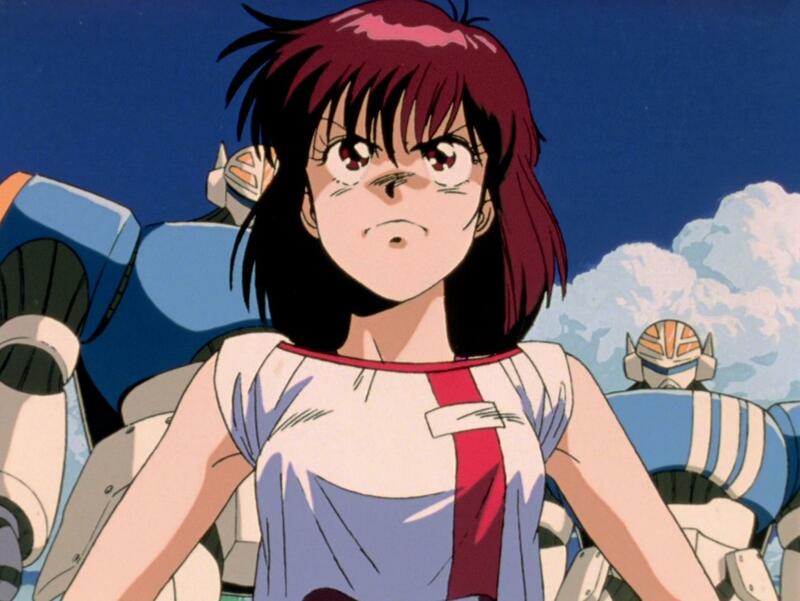 Gunbuster, when something hit me: despite a good few of Anno’s directorial stylings I loved from Neon Genesis Evangelion being present and liking the cast and tone, I wasn’t nearly as into it as I was Evangelion, especially in terms of the action. Now this certainly wasn’t due to the animation or presentation because, good golly, it’s a Gainax production directed by Hideaki Anno; but if not that, then what? Well, of course, the answer comes back to sound. To put it simply, Gunbuster’s sound design, though well placed, is mixed in a rather unpronounced and even dialed back way. Compare this to Evangelion’s soundscape, which is by far one of my favorites both musically and in terms of sound design. Not only is everything used in the right place, but it is mixed perfectly as well. The voices and the music are always at the forefront when they need to be, oftentimes reaching such intensity and volume that it overwhelms the ears. This fits perfectly with the themes of anxiety and depression exhibited by the series while also adding even more intensity to the action scenes. The screams are loud, the impacts sharp, and the music blares or drones depending on the scenario. Even though Gunbuster uses sound really well in terms of its placement, it doesn’t have that same courage to crank up the volume or dial it back in the same extreme ways Evangelion does. If it only had the nerve to destroy my eardrums a bit, the intensity and emotional impact would have been far greater. Another specific example of a unique way that sound can get a response out of us is through musical contrast. This works particularly well when it comes to extreme drama or comedy. Nichijou is a spectacular comedy for many reasons, and the music is certainly one of them. 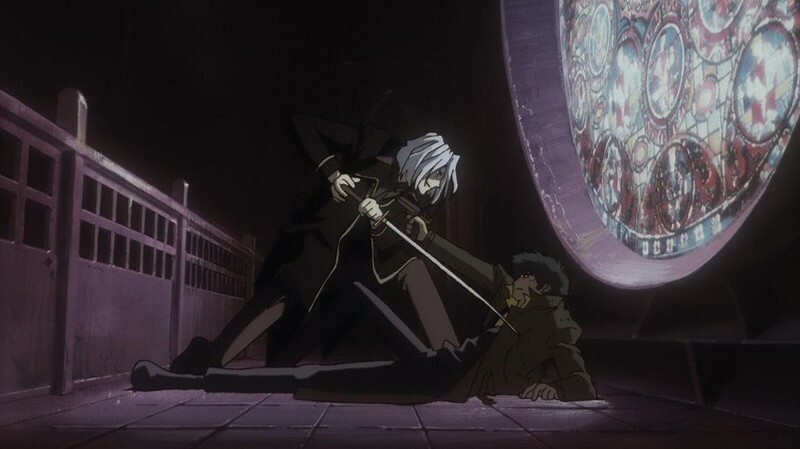 The orchestral score is not only extremely melodramatic, but surprisingly classy and even beautiful, which makes it all the more humorous when Mio loses it and proceeds to beat the tar out of everyone within a 100 yard radius, or when the out-of-touch elderly principal decides to duke it out with a deer in the courtyard. 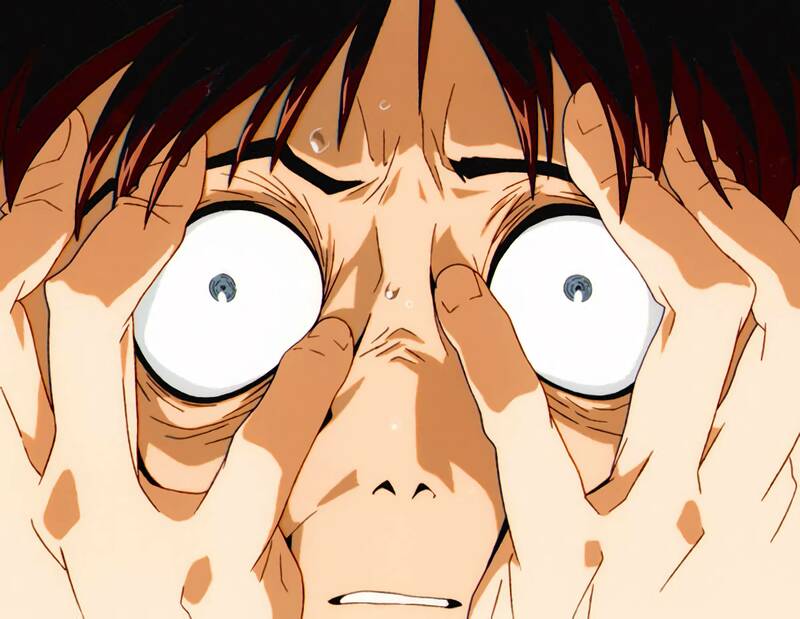 Neon Genesis Evangelion: The End of Evangelion does the same thing but reversed, contrasting one of the most horrifying moments in the franchise, the Third Impact, with an eerily upbeat, gospel-esque chorus called Komm Susser Tod. Anybody who’s seen the film is sure to remember the emotional conflict and surreal, messed up imagery paired with this melancholy tune, further bending the minds of anyone who dared to watch. With all this talk about sound, it’s about time to dial it back a bit and talk about silence. Like I previously mentioned when discussing Chuuni, many audiovisual pieces fall into the trap of constantly having generic filler music in the background, but they forget how much of an emotional impact putting a hold on everything can have. By far my favorite use of silence is in Kaze Tachinu, which I discussed earlier. 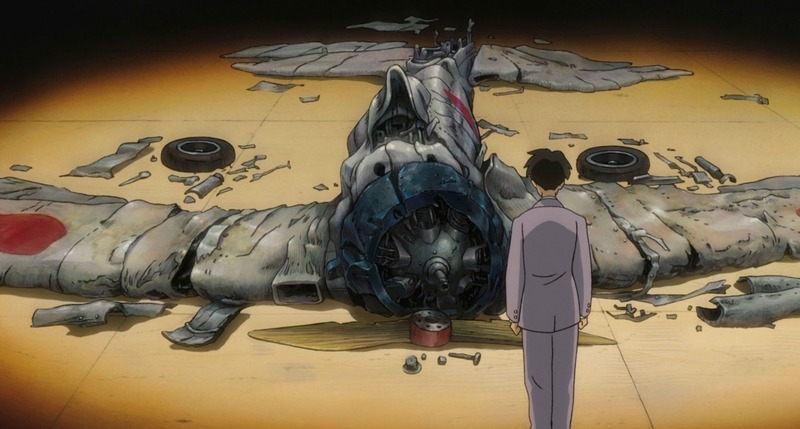 Near the end of the movie, as Jiro Horikoshi watches his masterpiece of a plane rising on the wind overhead, the sound completely cuts out, allowing the viewer to fill in exactly what happened. Jiro’s beloved is no more, and it’s almost as if he can hear it in the deafening silence. It’s such an emotionally poignant scene, and truly makes a powerful case for why silence in the right places can be just as ‘loud’ as any sound could ever be. In conclusion, I hope I’ve given you more of an appreciation for the art of sound in anime and media in general. Next time you pick up an anime, perhaps you’ll be able to keep an ear out for these kinds of things, and your viewing experience may expand even further. We all go through bouts of depression and we all deal with it in different ways. Even if we take solace in anime, we might watch completely different things ranging from the joyful to the horribly depressing.